Man, it really came down last night. I’m glad I strung up the tent. I don’t know if it made a difference, but I was more secure knowing it was there. I didn’t sleep much with how hard the rain was coming down and the wind was blowing. I also kept thinking I was hearing little pitter patter of a rodent. I flipped my headlamp on a few times, but nothing was there. This morning, as I was packing up, I noticed some bits of Ziploc lying about. I did not have anything lying out, so it took me a minute to figure out where it came from. Something had chewed into one of my side pockets! I had a Ziploc of peanuts in there I totally forgot about, ugh. I knewn better. I just got too complacent with how nice the shelters are and wasn’t alert enough. Normally, I have my bag of food inside my backpack and by my head so I can hear if anything is rustling through it. Last night was different because I propped the pack up against the tent at my feet to keep it from flapping. The weight of the food bag was what was holding it there and I totally didn’t think about my side pockets. I was groggy last night when I was hearing the sounds, so it didn’t occur to me that the peanuts were in that pocket. At least it is a small hole I can repair and it didn’t chew through the zipper. Dang. It was a steady rain this morning when I set out at 6:30am for the first hour as I immediately dropped down to some more farmland that was less exposed than what I went through yesterday. In fact, it was so low that it was swampy walking through there. 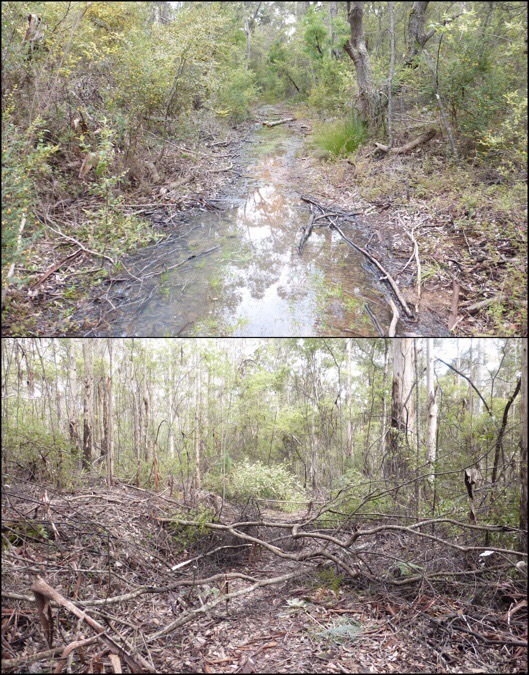 I think that maybe the parts that go through these private lands just aren’t as maintained. Normally, it wouldn’t be an issue, but given all this rain the soaking tall grass and large puddles to wade through were quite unenjoyable. Actually, today was the first day I would say was unenjoyable for me out here. 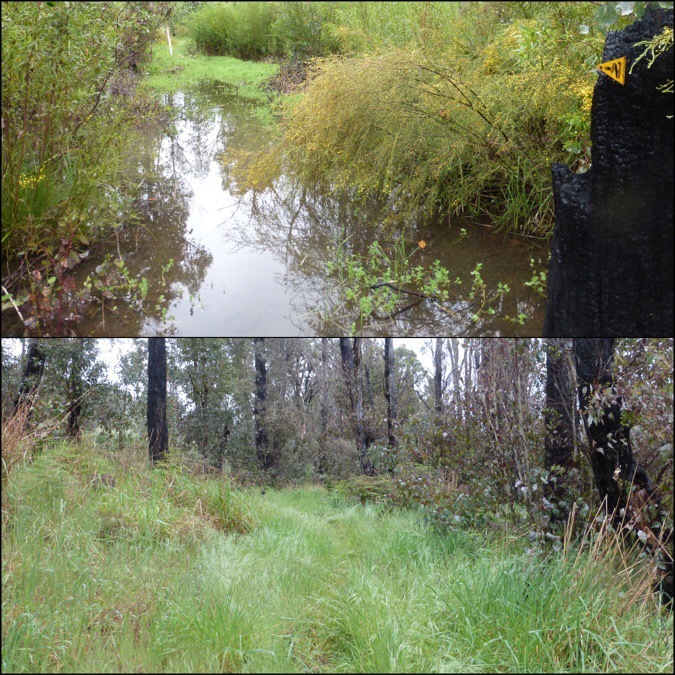 After I went through that swampy section the rain stopped for two different chunks of about an hour in the morning. 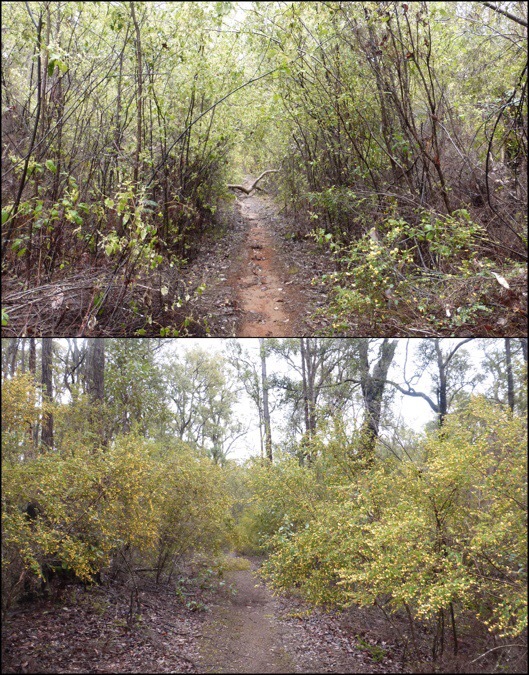 Just when that happened, I entered a section that was about an hour through a tunnel of wet overgrown brush over my head. I think that some of it was really only sagging because of the weight of all the water it had on it. I used the umbrella as a shield and just push through it. If I didn’t have that, I would’ve been completely soaked. It was working my claustrophobic nerve pretty good. I took an early lunch at Gregory Brook shelter. 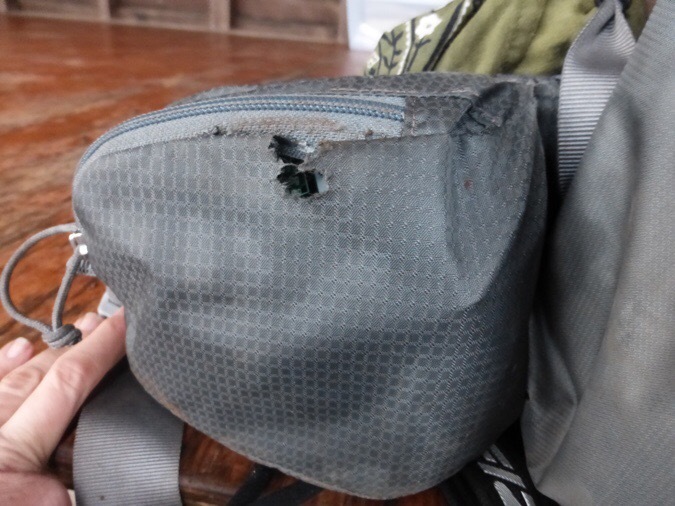 As soon as I took my pack off and sat down, it hit me that I was completely exhausted. It came out of nowhere and didn’t make sense to me to be that tired this early in the day. I still had over half my miles to do, and it was quite early for lunch, so I definitely should still have a spring in my step. I totally could have stopped there for the day and fallen asleep. Then I realized what day it was. Yep, I started my period. Well, that’s just dandy. If it’s not one thing it’s another I guess. The best news of the day was that the rain stopped for almost all the afternoon until the very end. What a relief! 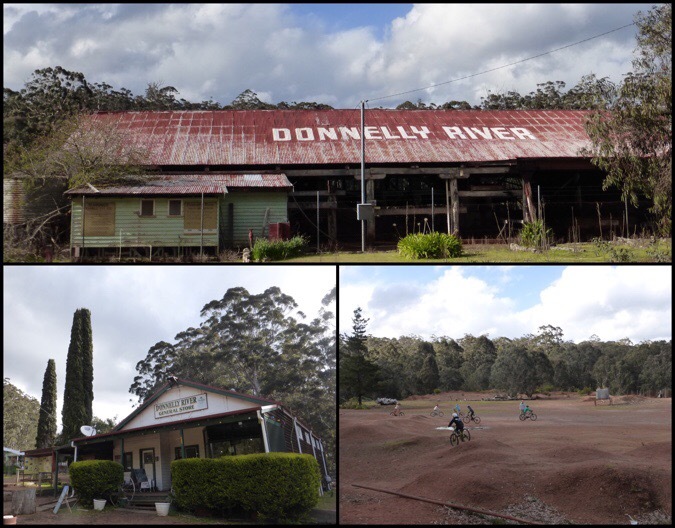 I put in the headphones so that I could just put my head down and power through the remaining 14mi/22km to Donnelly River Village. I felt bad about judging the morning section harshly and wondered if it was through the lens of me not feeling great. Then I entered the next section and it sucked too! There were a lot of fallen trees across the trail and a lot of brush to work through. It had to be from the recent storms and just not cleared yet. I wonder how much of it might even have been from last night. I could not get a rhythm going because I kept having to climb over or go around wet things. It was quite frustrating and my patience was low today. Fortunately, it did clear the last couple hours of the day and the forest got much wider and less claustrophobic. 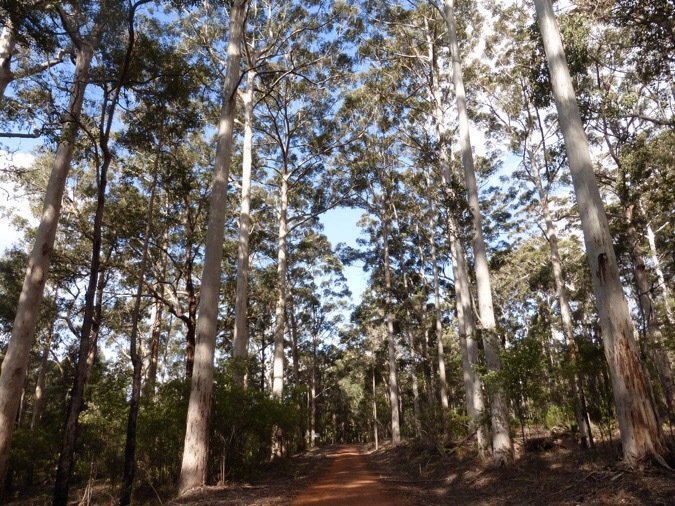 I saw my first big stands of karri trees! They will be the highlight of this upcoming section and are comparable to the Redwoods in the US. The only people I saw before I got to Donnelly River Village were three nice women doing a quick day hike to check out the Bib. It was nice to chat with them and it sounded like they were having a good tour of the area. 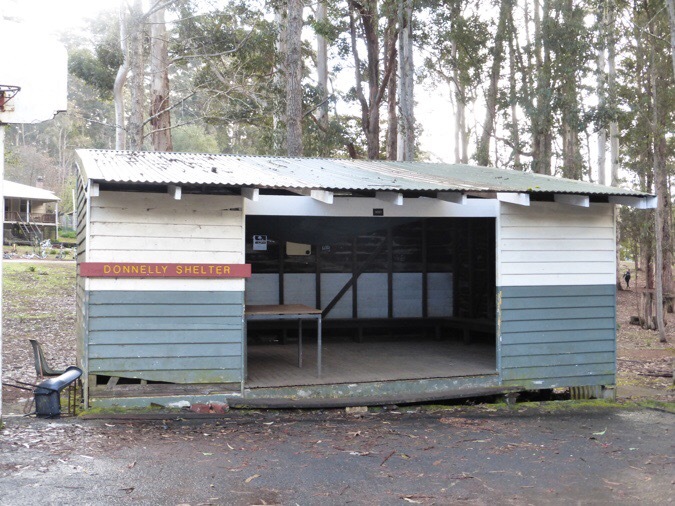 I wanted to get to Donnelly River early enough to walk around and see the animals. People have told me that I must stay in the shelters for the animal experience there. They have kangaroos and emus just walking around the property that they’ve been feeding for years. They sell food for people to feed them, so they’re just walking around being fed and habituated to humans. 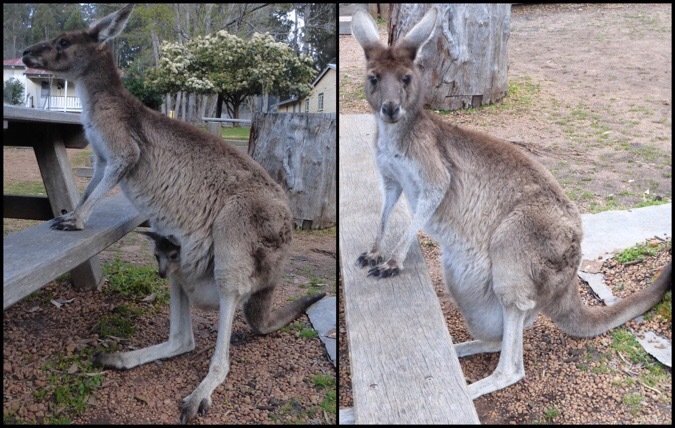 There was even a momma kangaroo with a joey in her pouch! I really liked it at DRV. It is like a little community of huts families can rent out for vacation. It’s holiday now for schools, so there was a large group from a nearby town where a bunch of families from the same school decided to come. 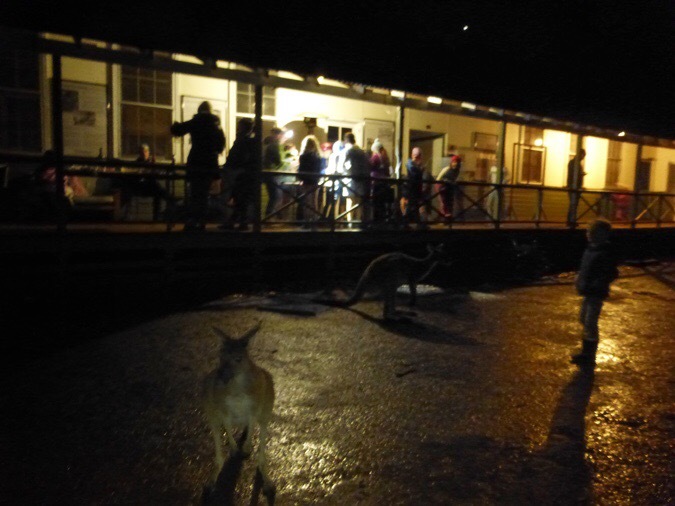 It was like walking into a tight knit neighborhood only with emus and kangaroos instead of dogs and cats. All the kids were on bikes, people were on porches, and some were playing music instruments quite well. I checked the accommodations and got my resupply box. The shelters are free but too rustic for me with all these animals walking around. I paid $20US/$25AUS to be in a bunk room and get a shower, but since only one other hiker is here, they let us each have our own bunk room. 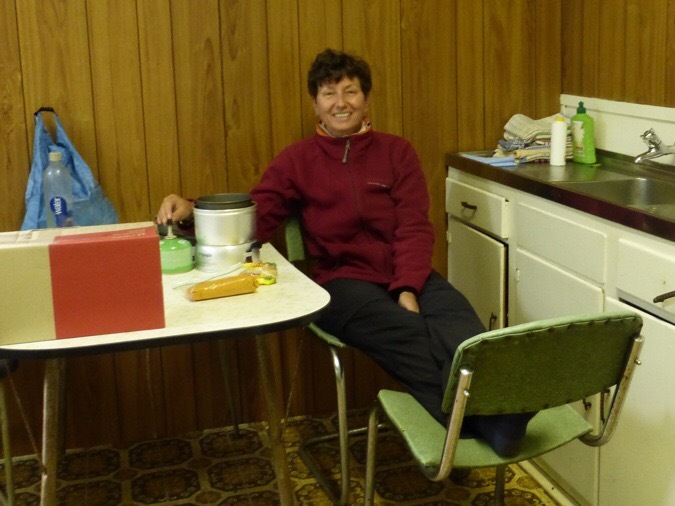 I had dinner with Claudia, who had been out on the Bib the last three days, and had about 8 more days to complete her section hike of the whole Bib. She has bad blisters, so she decided to end her hike here and her husband is coming to pick her up tomorrow. Claudia had a really great attitude about it and lives in Perth, so she knows she can come back easily to finish up her final section. She was fun to have dinner with. 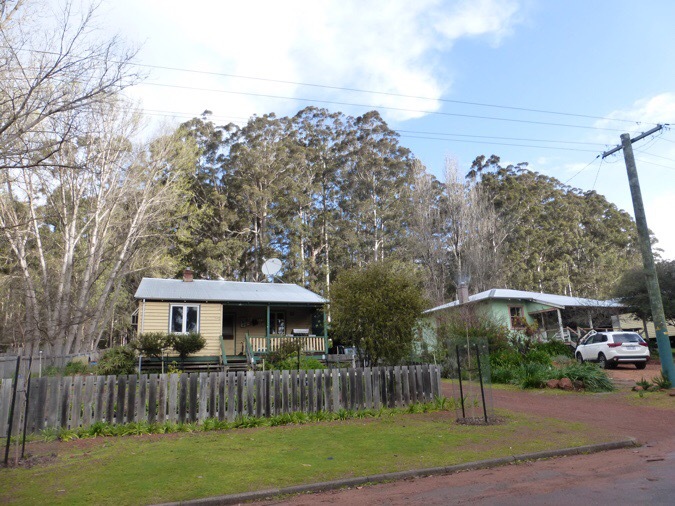 She said that the Balingup Visitors Center knew about the swampy trail I went though this morning and they had advised her to go around it on roads. Man, I missed that memo! We got invited to have some dessert from a chocolate fountain that some of the families had set up on our porch area. It was quite the gathering with a ton of loud noise including one kid that could really play the trumpet well. Loud, but well. Not ideal, but they are on vacation. They are now still out there chatting on the porch with cheese and wine. I don’t mind since I’m up, but we can’t figure out why they are doing this here and not on their own porch down the street. They kindly left out by 8:30pm so that was nice. When I checked in, the guy at the General Store told me that I’m the first one to come in over the last three days that isn’t getting off because of blisters or the weather. He said every other person the last few days has come in and said they’ve had enough. I totally get it. I rarely have to deal with blister stuff and got one that has developed in an odd spot on the ball of my foot. 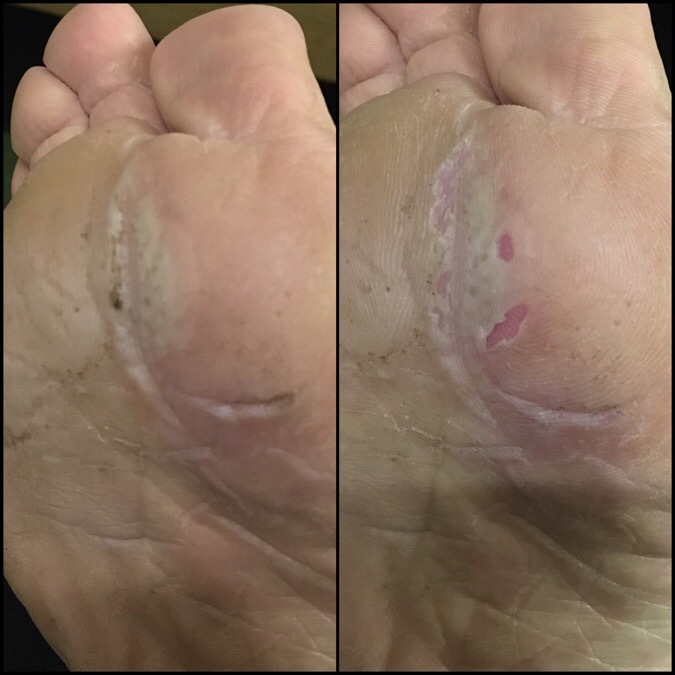 I will warn you that my feet are still drying out and will look much better in the morning, but here is the one with the blister before and after I did my strategic surgery on it. I have a masochistic approach to blisters that works for me and that is to cut them open so they can’t get any bigger and then let them callus up. I do cover them to keep them clean. I do this at night so they have all night to heal a bit before I walk on them. Yes, it stings, but it numbs after walking on it a bit and works for me. It better work cause this is not a fun spot to have a blister. It looks worse than it is and is already a lot dryer and hardened now. I’ll do a photo in the morning to show how it heals overnight. The black is from the tape I had on it today. Excited for my feet to have a dry day of hiking tomorrow! I’m pretty tired tonight for a whole slew of reasons. I didn’t sleep much last night, multiple days of cold rain takes it out of me, and my period just drains me for a couple days. It will pass. I have a probable zero day coming up in a few days if I want in Pemberton. Before the hike, I had planned to zero there just to rest and catch up on things since it will be over two weeks of consistent hiking. The other day I was thinking I might not need to take the full zero, but it’s sounding really good right now. I’m going to bed. I’m too tired to do the whole selfie thing with the timer so here’s my bunk room I have to myself. These rooms are open to both Bib hikers and Munda Biddi bike riders and I’m so relieved that Claudia and I lucked out to get our own rooms. Also, the owner gave me wifi access because their data allowance resets in a couple days. Score! It has poured on and off a few times since I’ve gotten here. It’s dumping hard now. Man, it’s great to be inside! It should be a clear and warm the next few days! 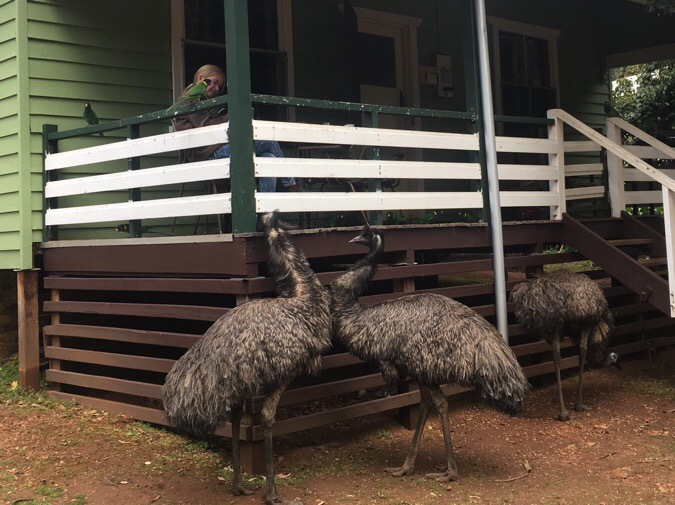 You are in a beautiful part of the state ,.Inremeber those emus from a family holiday at the Donnelly River Village many years ago -I found them to be intimidating . Boo to the blisters -I hope they don’t cause too much discomfort . The rain -the whole of WA seems to be raining ,whichever way you turn -but sunny days are promised -or so says the weather bureau . Enjoy your next destination . Thanks for taking me with you . Still following your journey. Just from reading todays blog I feel your exhaustation and I know all too well what its like to hike with blisters. Stay strong. Thanks Tanya. Finally in Pemberton and all all dried out. Looks like some rain returns this week, but at least the feet are healed. I have that swampy area south of Northcliffe ahead as well! Girl you are a champion. Tomorrows going to be way better! Haha! I have to say there are so many Merediths in the world, but as soon as I read this I knew it was you. Thank you Meredith! Love the baby joey pic! I found inspiration from your post today. Either that or misery loves company. My out of shape 63 years old body is not happy dealing with tree removal following hurricane Matthew. I keep telling myself that I don’t have a blister or I don’t have to walk in nasty water and I’m past the monthly littargy. Thanks and I keep my fingers crossed that today treats you with kindness. Oh man, glad to help with that perspective. I have found two things to help. One is just telling myself that it’s the “new normal” and truly accepting it really shifts my way of thought. The other is that it can always be worse. I’d still rather be out here any day than a regular 9-5 workday and I remember that all the time! Well I hope that Day 15 is so much better. I’d be plenty unhappy to hike in those wet conditions. You are quite in the inspiration as others, and myself, so attest. Go!Wired!Go! Hope the day was less soggy. Seems like Nancy had juicy brush in New Zealand at times… but maybe different time of year. It was great meeting you in DRV, we had a fun evening. I am sure you managed to dry out by now. Please look me up when you are in Perth. 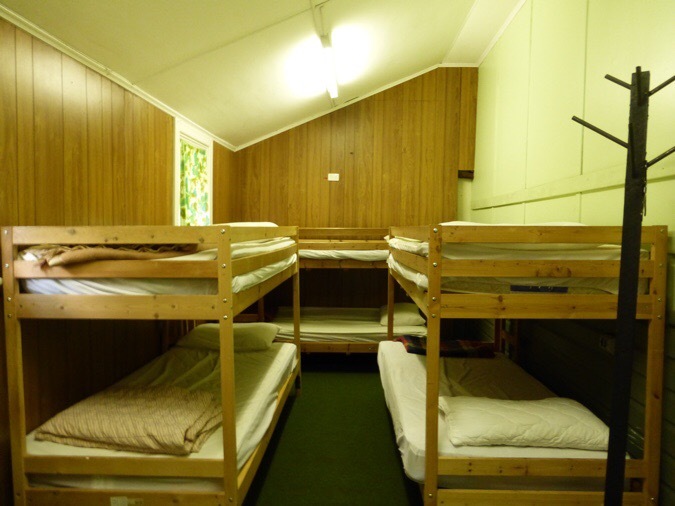 We have a spare room if you need somewhere to rest your weary feet. Oh so great to meet you as well! Hope those feet are healing. I do have your email now, so that’s great. I will be staying with a family I know in Darlington when I finish the Cape to Cape, but than you for offering. I might do Rottnest Island for a day after the hikes and may be near Perth then.